Accounting for a projected 40 percent of the American workforce by 2020, freelancing is going mainstream all over the world. BR talked to local marketing professionals to find out how the trend is reshaping the Romanian scene. At over 2.1 million workers and growing, the freelance market is beginning to come into greater focus across the Romanian marketing & communications (marcomm) industry. More agencies are working with freelancers on major projects, while more senior consultants, creatives and strategists are choosing this professional path. It’s a trend that even industry associations are noticing and responding to. And even though the majority of human resource engagement is still done through traditional means (employment contracts, career growth within one company, etc), Predoiu points out that the speed with which talents are abandoning traditional employment for freelancing (which is estimated to make up 40 percent of the total US workforce by 2020) will necessitate a serious re-thinking of how HR are best leveraged and developed in the very near future. Moreover, when it comes to the marcomm industry, the pace is even faster, as the creative industries have at their core progressive minds that tend to drive significant societal makeovers. At a European level, the number of freelancers has grown steadily every year of the last decade, with an average annual rise of more than 3.4 percent (according to research conducted by the Association of Independent Professionals and the Self-Employed, IPSE, in the UK), in spite of a continued annual decrease in the EU workforce as a whole. Therefore, across the EU, active freelancers have surpassed the 10 million threshold, according to European and local authorities. However, the actual number could be double if we include the “bogus” categories of “part-time” or “on the side” freelancers, temporarily inactive ones and even the few employees who are still paid as freelancers. “In Romania, however, according to the INS, there were more than 2.1 million self-employed individuals in 2016 (representing 25.6 percent of the total workforce), who produce 8 percent of the PIB, compared to 1.7 million in 2012, including in the creative industries and liberal professions,” said Anca Rancea, president of the Freelancers’ Association in Romania. 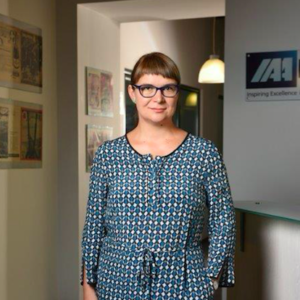 According to the IAA Romania president of the board, the freelancing phenomenon is not a new one in Romania; nor is it worldwide. However, in Romania, as well as globally, the trend is accelerating. “We are yet to define, through clear statistics, the size and speed of growth – but from the few available data it seems that the number of freelancers in Romania has tripled in just three years, reaching around 1.5 million people or 17 percent of the total active population. Importantly, given the workforce crises that we’re going through in Romania (i.e. the difficulty that companies face in employing qualified workers for internal jobs), combined with the increased flexibility required by workers, I would say that we are at a clear tipping point for freelancing. More talents will want to take control of their life flexibility through freelancing and more companies will open up and adapt their systems to embrace this talent solution,” predicted Predoiu. Moreover, as Rancea points out, the demand for freelancing comes from a prioritization of lifestyle development over traditional career advancement, and is evidenced in trends such as co-working spaces and telecommuting (which, also known as working from home, or e-commuting, is a work arrangement in which the employee works outside the office, often from home or nearby, including coffee shops, book shops and various other locations). Growth in Human Cloud platforms is also driving the freelancer model. Cristina Belodan, executive director at GMP, remembers that a few years ago she imagined how disruptive and prolific it would be to be able to work with the best creative minds regardless of the agency they were working for. At that time it seemed like an impossible dream, but one that is now becoming reality as freelancing thrives. “One of the biggest advantages in working with freelancers is that we all gain access to creativity and specialized creative talents, since they are an open resource. Apart from accessibility, there is always the ‘finding the best resources fit for every project’ criterion that goes beyond to other roles as well: strategic planner, project manager, DTP and BTL. We always try to assemble the best team for each type of project. If we lack someone in-house, our first choice is contracting freelancers rather than starting the recruitment process. It’s more efficient in terms of cost and timing. And, in the long run, it offers more flexibility and independence to get the best project team, said Belodan. 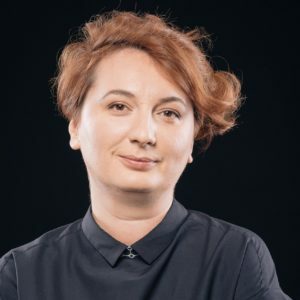 Her view is echoed by Stefan Iordache, CEO of Lion Communication and president of the UAPR, who believes that there are four big advantages in working with freelancers: growth in capacity, new competencies, cost control (elasticity) and the testing of new internal structures. By bringing freelancers in, agencies are expanding their capacity to answer clients’ needs in a certain period of time, on several projects. “With freelancers’ help we, as agencies, can access new competences brought by specializations that agencies didn’t have at that time. It also helps with cost control, by bringing a series of specialists or additional capacity only for a limited time. The agency assumes the cost of a freelancer only when it has additional revenue over the average generated revenues,” added Iordache. Last, but not least, in his opinion, another advantage is the possibility of testing new internal structures. The integration, even temporarily, of a new specialist in the organization can help bring about an understanding of the effects of the structural change. “Now, as with many other profound transformations, the transformation of talent engagement has shiny sides and dark sides that need to be well understood and acted upon. While lifestyle flexibility is a clear trigger for starting freelancing, it also poses talents quite a lot of challenges: the legislation is outdated (constantly changing – yet not coherent with reality), it can be hard to assess the quality of the worker, talent growth is not systemic, continuity in business expertise is difficult to build, freelancing sales are not obvious for many, etc. All these are surmountable, but there needs to be awareness of these challenges,” added Predoiu. Coming back to Rancea’s point, the freelancing phenomenon puts a great deal of pressure on advertising agencies as they still need to attract employees. At the same time, there are hybrid teams of freelancers that function as advertising agencies and might even become competition for traditional agencies on different projects. “As a result, I would say that the marcomm industry is more competitive than ever: agencies have a hot potato in their hands both in terms of HR and also to some extent in terms of fees, while clients should be happier than usual because they can truly chose among different working models from quite a bunch of service providers. Even if at first glance the two communities – agencies and freelancers – are in opposition, in reality, a healthy marcomm environment needs them working together, not as competitors! We all serve our clients’ interests and each of us has advantages and disadvantages that we are all aware of, clients included,” added Rancea. How to make it work the best possible way? The Freelancers’ Association president believes that the key is to find and define a way of co-existence, in which freelancers are no longer seen as ‘cheap resources’, especially on pitch projects, and get paid fairly for their work and expertise, while they also get a reality check, understand that independence doesn’t mean “alone” and have a better understanding of their limits. As the sense of competition is, in most cases, a false one, the sooner everybody understands this, the better! However, this is the first year when Rancea truly feels that the local industry is steadily heading towards the healthy environment she describes – albeit with baby steps. Marcomm companies should be at the forefront of adopting and nourishing the freelancing trend, as there is significant creative value to be attracted from freelancing when the mindset is ahead and not behind. As such, according to Predoiu, companies should, first, become truly aware that freelancing is a significant trend, not a side one. Second, firms should experiment with how to employ, collaborate, evaluate, reward, etc the freelancers that suit their business priorities. “There is a clear win-win to be achieved through freelancer engagement (hiring the best skills that fit with a given challenge is a privilege) – just that the culture has to be open to create such win-win ecosystems. There are many successful examples of outstanding teams with freelancers. Freelancers are highly motivated to create strong results and to build their recommendations from successful projects. However, it is important to know how to properly value their expertise: set clear expectations (objectives, timings, resources, decision making schemes, etc) and respect the value created or be open and data-based when the value is not as expected. The beauty of freelancing is that when a company and a talent find themselves in a truly mutual value collaboration, there is significant loyalty formed – just the type of contract is different,” added the IAA president of the board. In this context, GMP is the first agency in Romania to have contacted the Freelancers’ Association in order to start a special partnership. How did it happen? “This trend of going freelance is ‘so last year’ in Western markets. I am only sorry we didn’t start earlier. As the trend is growing in Romania too, I think that it is time to open our brainstorming rooms and team structures to freelancers if we want to attract more and more talents. Being able to access a pool of validated, certified and specialized freelancers for different types of jobs, roles and experience levels is something I can only dream will benefit our entire industry, not only GMP. At the end of the day, if the advertising industry has a creativity crisis, we will all suffer the consequences. We are very conscious of the ‘exiting the industry’ phenomenon and we are deploying our interests and resources to support a healthy environment for this new form of collaboration: freelancing,” said Belodan. It’s been more than five years since the AF (Freelancers’ Association) was founded and it’s more than five years since its president began to constantly lobby for this community in front of clients and authorities, partners and colleagues with figures, logical arguments, role models and relevant examples of what was going on worldwide. Five years of continuously growing awareness and building the reputation of the AF and enlarging the freelancer community. 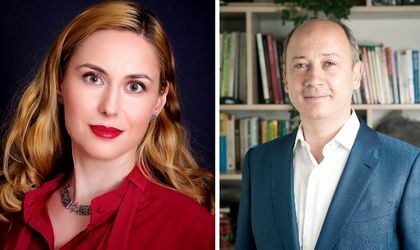 “Firstly, I am truly happy that the main independent advertising agency in Romania and one of the most important creative and strategic leaders – GMP – is open not just to working with freelancers, but having a real collaboration with chosen, validated freelancers, in order to serve its clients’ interests in a more efficient manner. And we are not talking just about project-based work. It’s about designing a flexible and innovative working model at multiple levels, for a real collaboration between freelancers and an open-minded advertising agency,” said Rancea. How will the collaboration work? According to the two parties the intention is for the AF to create the proof of concept alongside GMP and create a hybrid working model with a hybrid team consisting of freelancers and employees, designing common programs and even common playgrounds for IAA and AF members. When it comes to the departments where freelancers will be most sought after, Belodan says that traditionally at GMP they have had freelance collaborations with DTP and graphic designers, especially in very busy periods when multiple big campaigns from major clients overlapped. But the need for good freelancers goes beyond this and the agency’s representatives have had good experiences with creative freelancers, mostly art directors and concept/idea generators. They cite a need for talented designers, highly professional producers, experienced project managers, inspired sound designers and brilliant creative minds, while being open to more. Secondly, the IAA and AF are currently working on finding ways to help and support each other. For starters, the associations are discussing the possibility of putting together a common workshop in order to break the ice and bring the two communities closer together. For the AF, 2018 is the year when freelancers’ voices are truly starting to be heard by two major projects: the Freelancers’ Law and a Human Resources Cloud Platform: The association has a partnership in place with the FPFA (the Federation of Female Entrepreneurs) and is working on developing a platform where freelancers meet clients and vice versa for all industries, including marcomm, designed primarily, but not exclusively, for the members of these two entities. Moreover, according to Rancea, the AF has started working on drawing up the freelancers’ law, which it hopes to submit to the authorities this autumn. According to GMP’s executive director, these are revolutionary times for the traditional way of creating and delivering added value for brands and clients. “There has probably never been a better time for freelancing. Advertising agencies are open, clients are willing to expand their creative partnerships and this mutual flexibility brings the opportunity for multiple freelancing skills to arise. Yes, I do believe it’s time to make advertising great again. And this can only be done by making talents shine, freelancers more than ever,” concluded Belodan. In her turn, the IAA representative believes that freelancing has reached a point of no return – the only way from now on being up. And it is great that there are forms of organizations that advocate for the benefits and rights of freelancers, such as the AF. “The focus of businesses should not be on ‘should we consider freelancers or not’. It should be on ‘how to identify the best freelancers for our challenges, how to integrate the phenomenon in our culture and processes’. Freelancers, meanwhile, should be aware that advocacy is important, yet personal responsibility for their performance and development is critical for individual satisfaction. Personally, I am excited about the value that is yet to be unveiled through the transformation of talent engagement and very supportive of the positive development for talents and for marcomm businesses,” added Predoiu. Still, Romania is one of the few EU countries lacking an official study designed specifically to measure the freelancing phenomenon, its dimensions and other relevant information that can be used to design programs, launch products, and understand consumer habits for such an extended community. “It is my wish for this year to find a sponsor that can help us conduct this study at a national level and identify more means of supporting freelancers in each and every industry,” concluded Rancea.